Website requirements analysis is the precursor of any web development project. As such, it identifies the client’s specific requirement and preference right from the start. From the nitty-gritty function to the more hidden and exclusive abilities of a website, investors emphasize the importance of their every requirement to the provider whom they are compensating for service. Ensuring that enumerated requirements are perceived crystal clear from the beginning, eliminates much of the errors committed later and bring the final product much closer to client’s expected result. How much dedication a web development company puts up with website requirements analysis usually determines its competence. Generally, website requirements analysis is delivered in three common steps. The beginning phase of website requirements analysis concerns web developers in collecting valuable data about specific project requirements from client. At this stage the provider/developer should assert and exhaust all efforts to determine all aspects of the project and the scopes involved. Until this happens, there is no way the provider/developer can understand the client’s expectations. Client, on the other hand, may demand impractical work as a result of completely missing out important considerations in the development process. There’s plenty of raw incongruent data at this phase that developers simply glean to be carried to the next level of the process. At this phase all collected requirement information are carefully observed, analyzed, outlined, and discussed to address any conflicts, vagueness, or partiality. The importance of accurately recording and documenting client’s requirement information is to closely examine later for validity. 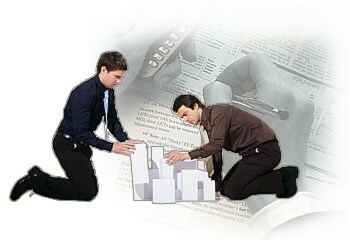 It would help the web developer in formulating a clear plan to satisfy those requirements. Such plans may involve prototyping, database design, formulating data flow diagrams and transition flow diagrams. All of which rely on documented information to help refine the process and speed up project development. When all issues and concerns are determined, this phase involves initiating action to resolve those issues professionally. Through this process real needs will break the surface and true essence of the project requirements will emerge. Website requirements analysis is a long and tedious undertaking. The team of experts employed by the web developing company must display unrelenting fitness and strength of character to handle the stresses of the job. Reliable providers have resolute team of experts deployed to handle very difficult requirement analysis of diverse needs presented by client. Thorough analysis and traceability helps transform requirements into system design. Therefore, prior to making any decision to engage the services of a web developer, the client should undergo rigorous study on how the provider company will make out in terms of website requirements analysis. If it showcases signs of seriousness and dedication in undertaking the project requirements analysis to bring about a brilliant customized solution, then it should be more than a valid reason to proceed. Such providers will run an extra mile just to meet client needs. After all, pain staking work results to high quality outcome that would later bring immeasurable gains.